This item has been downloaded 68 times. The USS Discovery (NCC-1031) was a 23rd century Federation Crossfield-class starship operated by Starfleet, under the command of Captain Gabriel Lorca and, later, acting captain Saru. 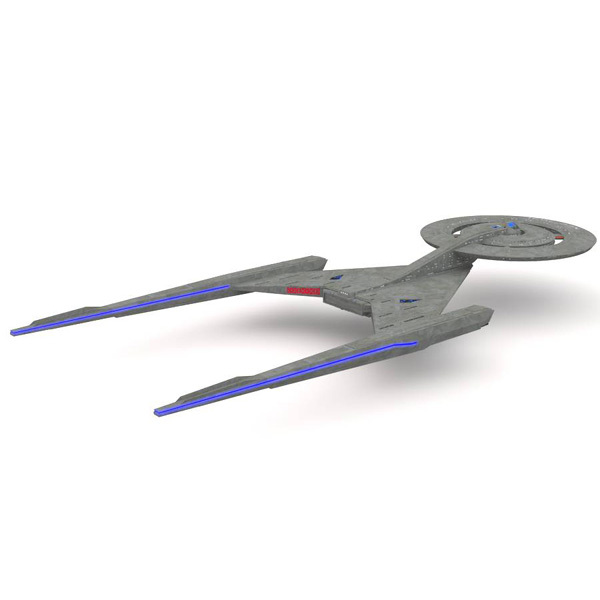 By November of 2256, it was still considered impressively new, fresh out of the shipyards, and equipped with some of Starfleet`s most advanced technologies (in contrast with the relatively old USS Shenzhou). 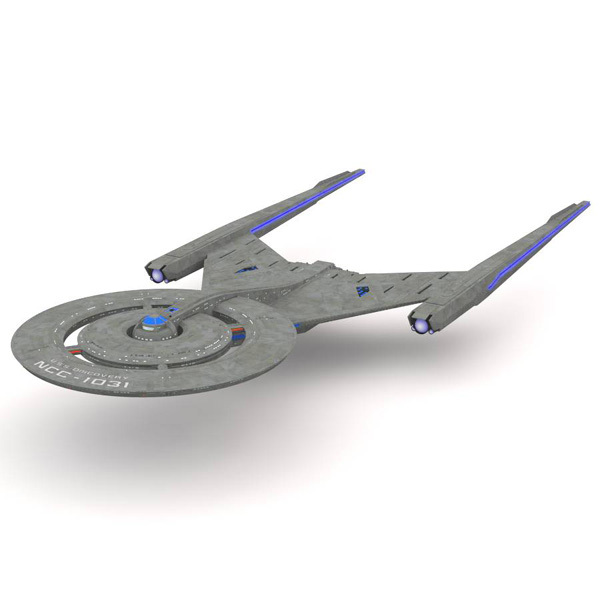 As a Crossfield-class starship, Discovery was officially designated a science vessel. It has a crew manifest of approximately 140. The ship`s facilities were able to accomodate 300 discrete scientific missions, a Starfleet record at the time. • Vue vob file, with 174,701 polygons.